I was quite surprised to find out that Mr Tan Kin Lian does not recommend critical illness insurance, or at least not to a large coverage. “There is no need to buy insurance to cover critical illness. Your Medishield or private Shield plan can cover most of the medical expenses. The chance of making a critical illness claim is small. Less than 5% of people make this claim during their working life. There are 3 points in his argument from his words and I went to investigate a little further. It is true that treatment for critical illness is indeed covered in a shield plan. So do you need a critical illness cover? I would say yes if you do not have enough savings. We must always go back to the purpose of insurance when we discuss about such issue. Insurance is to provide the money you need when you encounter mishap. Hence, a critical illness coverage provides the cash payout when you contract the illness and you can use the money wherever you wished to. In this case if you have a Shield plan, your treatment cost is mostly covered. Hence, do you still need a sum of money? If the Shield plan claim is not adequate to meet hospital bills, the money may come in handy. 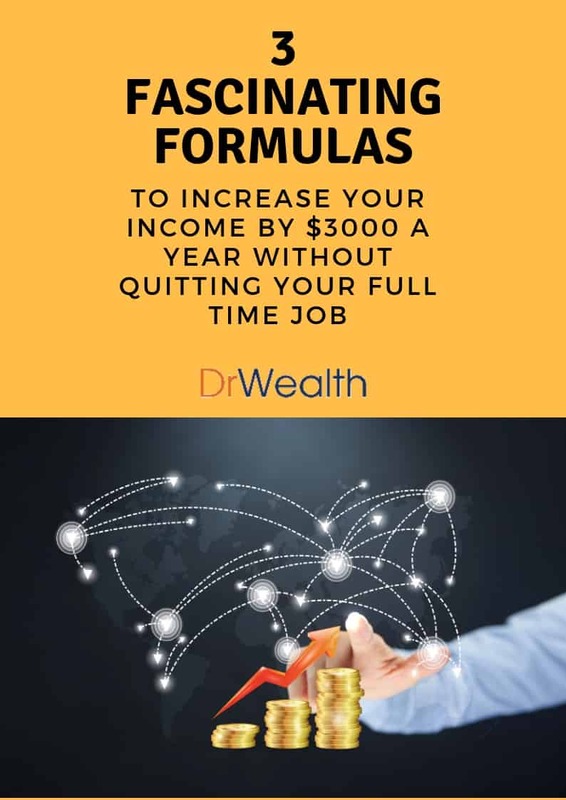 But besides settling the bills, it is important to note that most probably you will be out of job and lose your income once you contracted the illness. You will be living off your savings for the rest of your life. It is safe if you have enough savings or investment returns or retirement funds for you to tap from. But if you have not been disciplined to build your savings, you would really need the payout from critical illness. You may want to compare to the list of critical illness that is claimable here. Hence, I would say only (2), (3) and (8) qualify for claims. Doing some calculations, the probability is about 1.1% of the population. Of course, this is a very rough estimate since it does not consider all the diseases that are claimable under the critical illness list. However, out of the top 10 conditions, I am quite surprised critical illnesses take a small proportion. But it is still important to remember low probability does not equate to “it will not happen”. You cannot buy critical illness cover by itself. It has to tag along a life policy (either whole life or term). A whole life policy usually have a return of 3%-5% per annum. For 10-20 years, a 8%-9% return from a low cost fund can give you much more returns. I believe if you do not have enough savings, covering yourself with critical illness is important, especially when you just began your work life. It is important to plan well and determine your true needs. Do not under insure or over insure. How about sharing your take on critical illness? I guess I draw alot of negativity from insurance agents when I wrote this post. Anyway, I should also give a side of what one of them thinks. I have 2 good friends who are also insurance agents and they read all the posts on insurance on this blog. They gave good comments and since I have a very open mind, I do agree with what they said (don’t get me wrong, it does not mean I am easily convinced). Hence, I decided to share it here. The issue with critical illness is that it usually payout in the final stages of cancer. Hence, if a person is likely to die, he does not really need the money for treatment. Moreover, if he dies, his life policy which the critical illness is attached to will cash out, which his family can use. So what is the point of paying critical illness cover? Then GE came out with an Early Payout scheme which makes more sense to a critical illness cover. The scheme will payout even the cancer is discovered at stage 0. This means that the patient will receive the money and use it to treat the illness from the onset. The drawback is that the additional premium for this scheme is high. Another friend commented that critical illness may not be terminal. For e.g., coma or Parkinson’s disease. Although each of them has terms and conditions regulating claims, they are likely to be paid out when they are diagnosed and need not wait till the end stage. His point is that critical illness cover is important, especially for such non-terminal cases. Hello sir, you may be the previous CEO of NTUC, I think its best you save your comments. From your remarks I am very sure you do not know your products well when you mentioned about major illness tagging with a whole life etc, please save your comments and find out more before you comment, you sounded rather silly. Do you also know there are many types of shield plan, and many do not cover experimental drugs. By the way do you know what is experimental drugs? Do you know when a person contract cancer, all types of drugs are used to terminate the cancer cells and not all drugs can do that. Have you ever excute a major illness claim? I had done a few ok.
You sound like an insurance agent to me but i’m sure you are definitely not a CEO of an insurance company. If you have a knowledge then share your knowledge. But don’t questions others knowledge. If you want to question others I suggest you can go back home to question your son if you have one. Critical Illness Cover is lump sum protection. You use the money for whatever purpose you see fit. It’s not just about paying for medical expenses. A lot of people take out critical illness cover in line with a mortgage so that if they are diagnosed at least they can pay off their mortgage and not risk losing their home. Some very exciting news about the latest development from GE. We are launching a new critical illness product which is revolutionary in the market. Currently, all critical illness payout only occurs in the later stages of the illness, NOT in the early stages or what we term stage 0. We are changing how payout is to occur! With our new plan which is launching in April, payout will even occur in stage 0 of an illness such as cancer. It means that you will be able to make a claim for a significant amount even before the illness develops into the later stages and thus use the money for treatment or as compensation from time off work during early treatment. This is in line with doctor’s recommendation to start treatment early for all illnesses and also the high recovery rates due to early treatment. GE is making a revolution once again. We are the 1st in Singapore to start critical illness coverage in 1987 and this year, we are making a significant change in how critical illness coverage can benefit. Can i share on your site more about this? Tan Kin Lian sounds like an idiot..I have a relative who suffered from a “terminal illness”, one that would definately take his life away and but slowly..slowly..
From the time of diagnose to his death, there was a period of about 3-4years where he was totally dependent; paralyzed first waist down then neck down before death. He had insurance, yes, and maybe he thinks like TKL too; need not alot of CI insurance, and he didnt. And was life the same for his family? Of course not. There are many many expenses not covered under the shield plan: – the maid, yes the maid, because in situation like this when the husband did not have enough CI insurance, the poor wife MUST go and work. And who will look after the husband who require 24 hours attention? Who will take care of the 2 little children who are barely out of primary school? On top of that, expenses still need to be spend on adult diapers, special diet, special bed frame, medication, and many other things that the husband would probably never be able to afford with even his usual monthly income. Perhaps its true than less than 5% of people make CI claim, or not..but how do we ever know when or who will be those “lucky 5”? Hi KLX, you are right. The 5% may be you. On the other hand, CI payout is not confirmed even if one contracted the covered illness. For some of these illnesses, the insured need to be at the final stage before he/she can make a claim. So if it is still an early stage, he/she would not get a single cent even though he/she is bedridden at home. Personally, I think that if you want to get CI, you should get early payout option. I express my comment to this case as, being an insurance agent myself, I need to convince that critical illness coverage is essential before i present it to everyone else. In this case, AIA and GE have related products to early payouts. for myself, I have a 200,000USD life policy covering myself of up to 100yrs old and 125,000USD for critical illness. i am paying a premium of $4200 per year of up to 15 years [of course this depends on age] however, my total layout is $63,000 and I have a gauranteed legacy of up to 200,000 and in addition of bonus every year. This settles the probability of the 5% as mentioned above and hopefully, we do not fall into that scope. you should not worry about the stage 0 cancer cost because everything will be covered with the shield plan. so the reason to buy one of those early critical illness plan is not very convincing. Furthermore you do not need to buy a whole life plan with CI Rider attached to it, AXA has a standalone CI plan. Only Tied Agent will ask you to buy a whole life with CI Rider. Try to get opinion from IFA who knows more about the insurance products out in the market. How about looking at the real life claims for just 1 insurer before you judge? You can claim for suicide? you can suicide after one year you bought a life insurance. can you share the source of your claims stattistics? what is the latest H&S for all the coy for provide STem-cell transplant coverage, allow experimental drugs, if recommended by doctor, etc? I personally feel that buying insurance coverage is always a subjective topic to discuss. The main purpose of buying insurance is a transfer of big risk from your self to the insurance company. If any of you here are cancer patient or has contracted other major illness, your perception towards insuring yourself will definitely be different when you are well and fit. diagnosed with major illness neither do I. Whether a IFA adviser is better or tied agent is more prone to sell products that short-changed the client, i felt its hard for anyone to resist the temptation of making extra money. While does buying a standalone CI plan and a whole life plan makes a better trade-off? Isnt buying 2 plans, aren’t we paying for 2 policy fees instead of 1 ? It actually voiced down to the duration that is needed to cover instead. Many of these products existed for specific reasons which many people only manage to understand the surface aspect. The 5% of population seems to be a vague statistic to discuss and why not let take the most popular disease instead – Cancer. I’m pretty sure you would like to hear alot more people around you contracting it other then diseases such as kidney failure or heart failure. The ratio of women diagnosed with breast cancer has increased 10x since 1970s. If you are in a MNC, the chances are the company will have policies that are quite favorable for the sick employee else it might be quite practical for the boss to suggest you to go for a no pay leave as you cant contribute to the growth of the company. That’s life. 2) Do you mind utilizing your hard-earned money to see specialist doctor and go for expensive scans which you are unlikely to have a choice to choose when your doctor ask you to do so? 3) If you managed to recover from the sickness, I ‘m pretty sure you would treasure your life more than ever. If you used to hold a high income job, usual with large responsibility and stress-level equivalent, will you continue to stick to such job if you have a choice? diagnosed around the same period. After reading this blog post with comments, it confuses me more than clarifying on how to get a proper insurance coverage for critical illness. Some say all medical bills are covered with medishield and some don’t. And it’s difficult for someone like me, who can hardly understand the medical insurance products out there. But my take away from this post is that insuance coverage for critical illness is essential, given the fact that we likely not able to work while recovering from a critical illness and if we do not have sufficient reserves to sustain our livehood. Of course the best is to pass this complex job to a trained professional who always serves to the best of this clients’ needs. But this is easier said than done. So far I’ve changed three different insurance agents and now stay with the 4th who I don’t even know who the hell is she. Medishield is a basic medical plan that was designed for most general public to stay in B2 or C ward. It also cover major illness treatment such as chemo, radiotherapy etc but there are limits in terms of maximum claims per year and per policy term. Medishield coverage are not sufficient if you want to go to B1 ward above or private hospital as there are many benefits that are only extend to private integrated shield plans. Just let the agent explain every benefits in layman term and make sure you understand what he is telling you and ask relevant questions that are likely to happen e.g what happens when i’m hospitalized and what is claimable and what is not. A experienced agent will somehow answer most of your queries without much difficulty. I’m sure most of us will sign the documents with a substantial amount of understanding at the point of sales… most will not remember after sometime… our mind not designed to know everything. Ya i agreed to let the professionally trained people does the job as a layman after still a layman. There are things what is never really understood until you join that industry otherwise everyone can become a doctor after reading a few medical books. I never post comments on blogs that I come across and read but this one is just poorly written and just wrong. You say you put research into your answer but you did very little and very misinformed. I am not sure where you get some of your information from. Your article is written in a very selfish manner. As in you look at only the effects it will have on you if you get a critical illness and not your family as a whole. You talk as if once you get diagnosed with a critical illness you are destined to die. . . I think you have this confusion between critical illness and terminal illness. They are not the same. You say you cant buy a standalone critical illness cover? That is already incorrect. You can buy a standalone critical illness cover and even early stage critical illness cover that is not tied to a life insurance policy. I am not even sure you know the difference and the costs between a term life policy and whole life. I am not going to go into a million and one real life scenarios of why you would need critical illness cover,. The effects it will have on your family if you get one and you live through or die. Not even going to go through why even a non-married individual would need one. You do not buy critical illness cover to use it. You hope to never ever have to make a claim. You keep it folded in your back pocket and let it collect dust. But if the unfortunate was to ever happen you will more than ever glad you can pull it out of your back pocket and use it. I totally agree with you AL..
You really need to educate yourself before posting here. The people who know the ins and outs of insurance must really be laughing at you. Such an article written with extremely limited knowledge and know how, yet tries to act as if you know it all. People like you are the cause of how online media becomes a bane. Insurance cost is always based on statistics, of course critical illness insurance is expensive, because it is claimed so often compared to the others eg. Death claim. Regarding attaching a critical illness cover to a life long insurance plan. It is a good idea. If you even know anything. Term plans are paid out the least (2% of term insurance plans are ever paid out) so insurance companies actually earn the most from them. The most value for money way to do up any coverage is to go for a long term life cover which gives you cash value at the end of the day. Note i said most value for money. Now if you are a investor who can consistently make >20% returns on your private investments every year, then go ahead and buy pure insurance, leave the life time coverage plans for other people. How many can do that? And much more. Please do humanity a favour and do not write such ignorant articles. You truly have no idea. I totally agree with you Joshua.. Yes, I tolally agree with the author on this topic. How you seen the critical illness list and its fine print? Take Stroke for example..AIA difination is – Evidence of permanent clinical neurological deficit confirmed by a neurologist at least six (6) weeks after the event. So to claim any pay out, you have to suffer a stroke resulting is permanent brain damage. If you happen to recover from the stroke after going though all the OT and Physio..you can’t claim anything. Say for Cancer, you probably have to be at the last stage and about to die before you get any pay out. Might as will get death insurance and save on this critical illiness scam. As chances are you cannot successfully claim anything from these insurrer at all. Check out what AIA australia says about stroke and what AIA Singapore says about stroke. you will be boiling mad. In AIA Australia policy..the word Permanent is not in the policy at all. So if you suffer a stroke wheather its reversible or irreversible, you still get payout. So why is there a different? They still take your perimum but have more clauses and fine print so they can denial payment.